Dr. Berman received his dental degree from the University of Maryland School of Dentistry and his Certificate in Endodontics from The Albert Einstein Medical Center. He is a clinical associate professor of endodontics at the University of Maryland School of Dentistry and a clinical instructor and guest lecturer at the Albert Einstein Medical Center. He has lectured internationally in the field of endodontics and has published in several different peer-reviewed dental journals. Dr. Berman is the past president of the Maryland State Association of Endodontics and is a member of the Journal of Endodontics Scientific Advisory Board. He is a contributing author and co-editor of the most widely used endodontic textbook, Cohen's Pathways of the Pulp. He is also the senior editor and contributing author of the comprehensive textbook, Dental Traumatology. 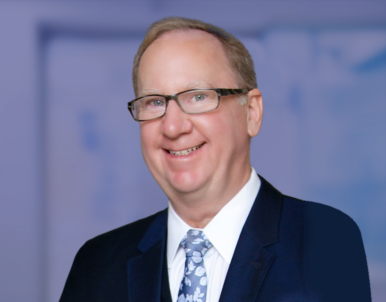 A board certified endodontist and fellow of the American College of Dentistry, Dr. Berman has been in full-time private practice in Annapolis, Maryland for the past thirty years. Dr. Berman is also an avid boater who has competitively raced in local and regional competitions, racing J-30s around the Chesapeake Bay. Enhancing his skills as a lecturer, he is a self-taught expert in PhotoShop and video editing (he calls it “therapy”). As another past-time, it might not be unusual to find him at a local karaoke bar. Philanthropy is another passion of Dr. Berman. He was the director of his local hospital's Foundation Board for ten years, the last of which he served as Chairman of the Board. Though his fundraising efforts, the board raised enough funds to facilitate the move of his community's historic downtown hospital (where he and his dad were born!) to a new state of the art hospital center.